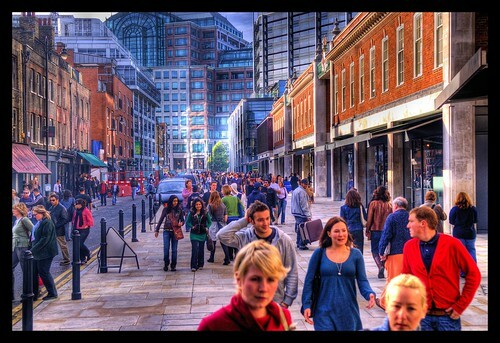 People walking on the street near the Spitalfields market in London. October 2006. This shot made #3 on Explore on 2nd of November.